EBSolute provides full-fledged off-shore Testing and Quality Assurance (QA) services to Clients in India and across the globe. 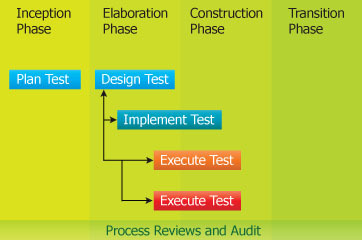 We can provide Testing and QA solutions either to the existing application or new application developed by your team. Needless to say that the application we develop for you go through the same rigorous QA processes. We believe that Testing or QA team must be formed before the development starts. Based on the design documentation and functional specifications, the QA team will prepare Test-Cases, Test-plans and Test-beds (Data). Our team then chooses the appropriate automated tools to perform Load Testing and/or Volume Testing depending on the type of application. These services reduce 30-50% costs since they are performed off-shore.